RumChata Cheesecake Pudding Shots - Easy To make! These pudding shots are to die for and perfect for your next adult party! Insanely delicious, these will disappear fast! 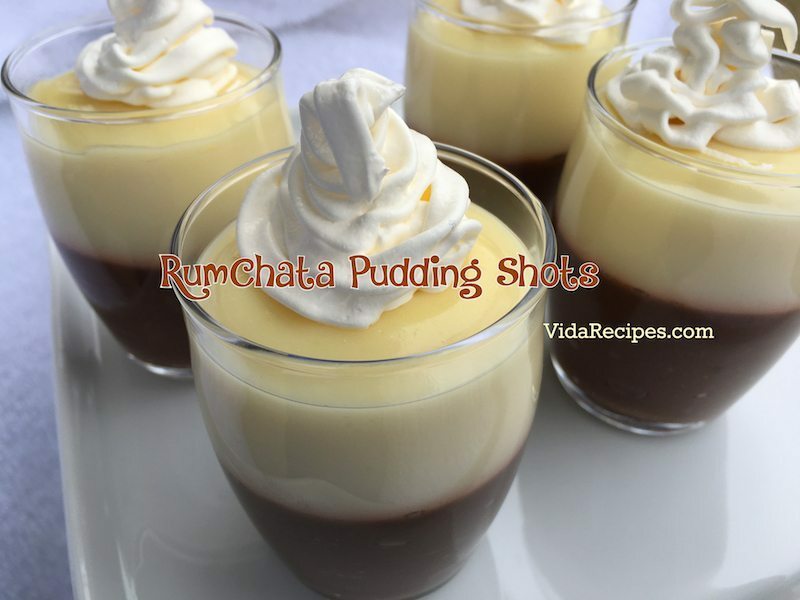 I love RumChata pudding shots, they are insanely delicious! They’re so much fun to make for a party or get together. I usually make them with cheesecake pudding but this time I tried a variation. I made one recipe with chocolate pudding and one with cheesecake pudding and layered them in small glasses. I finished them off with a little dollop of whipped cream on top! Can also be topped with graham cracker crumbs as well. The original recipe does state to place these in the freezer but I just refrigerated mine and they were very good that way. I also used glasses for mine but using small paper cups is also very convenient if your party is outdoors or if you are making a large number of these. I picked some up at the dollar store that are the perfect size if you are just filling with one layer of pudding. These turned out amazing and looked fantastic for my get together. Everyone loved them and they disappeared super fast! I will definitely be making these again soon! When you make these you can actually use any flavor of pudding for different variations. Some ideas are vanilla, pumpkin, chocolate, cheesecake and more! Make sure you use instant pudding, not the kind you cook on the stove. A word of caution when you make these, please keep away from children! They look very tasty to little ones and kids will eat them! Please make sure your kids know not to eat these as they could be very tempting! Keep out of reach of small children. Looking for more party recipes for the summer months? In a bowl, whisk milk, RumChata, and instant pudding. Spoon the pudding mixture into shot glasses, disposable 'party shot' cups or 1 or 2 ounce cups with lids. Garnish with extra Cool Whip and/or graham cracker crumbs if desired.